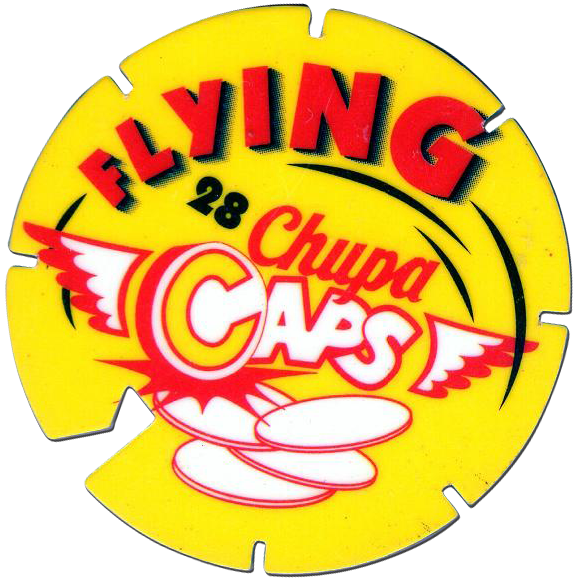 Info:Unlike most other Chupa Caps, which are made from card, the Flying Chupa Caps are made from plastic. 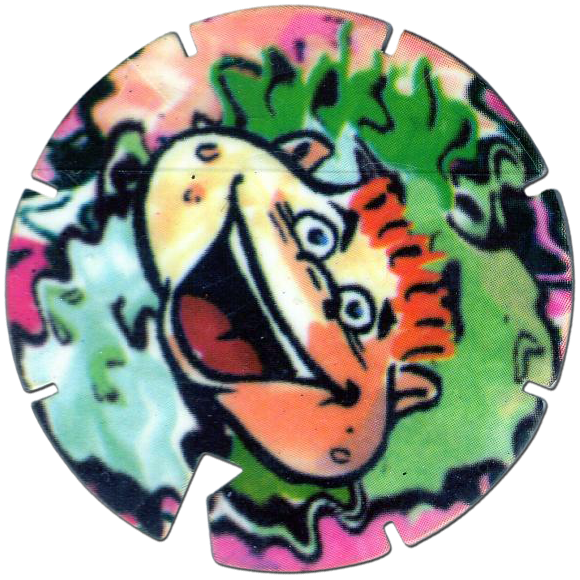 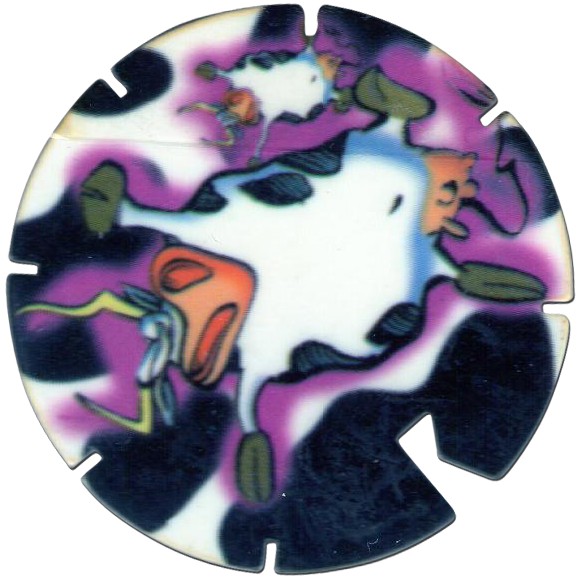 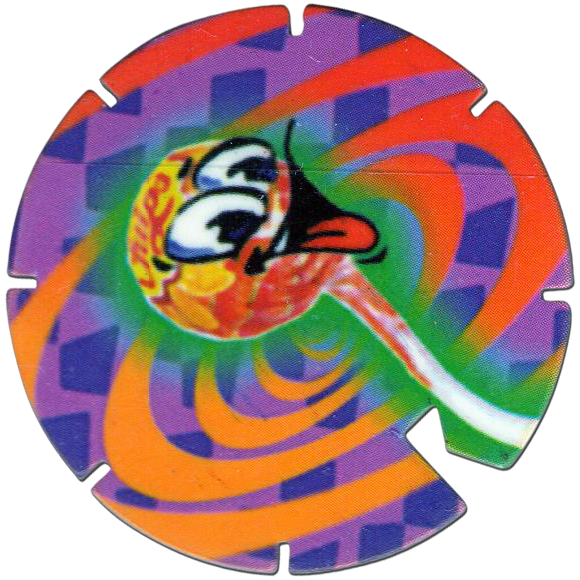 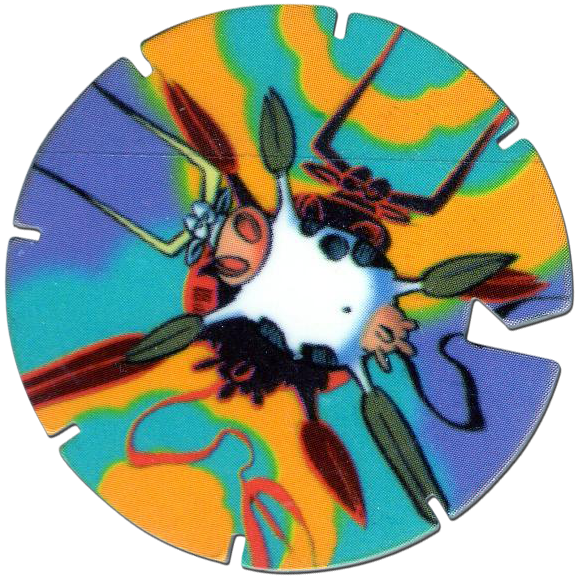 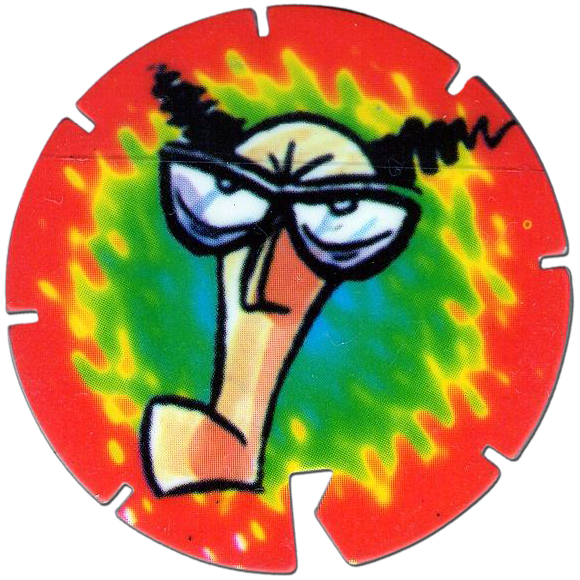 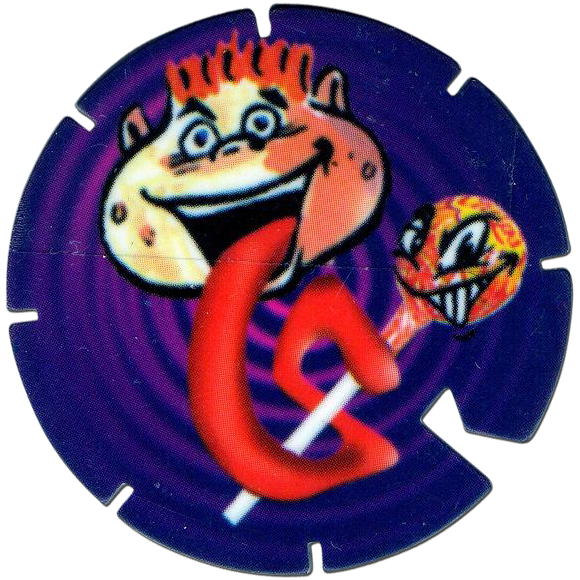 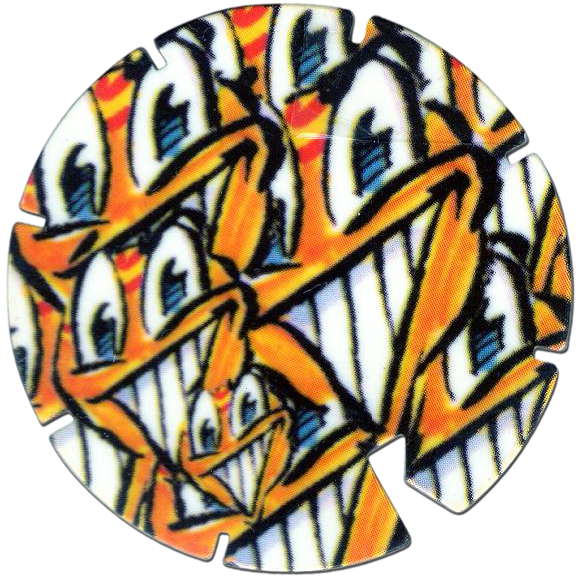 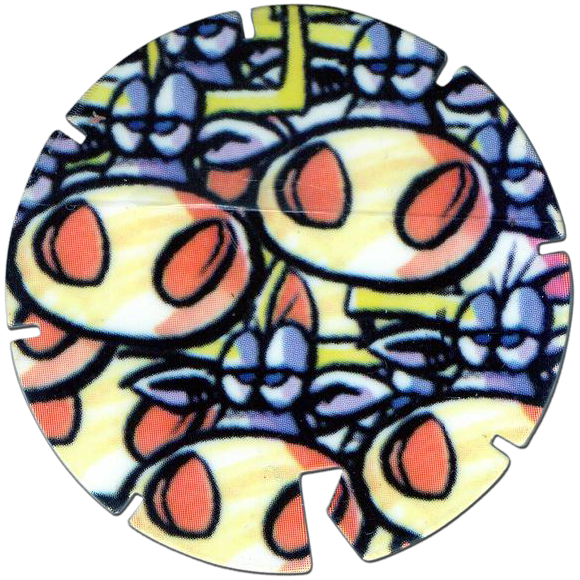 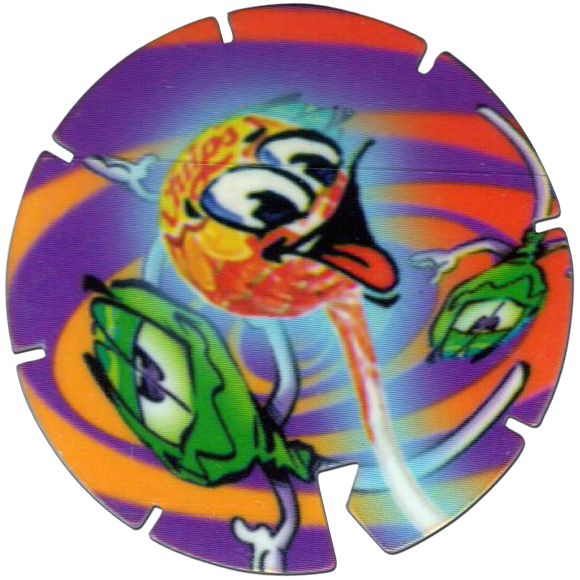 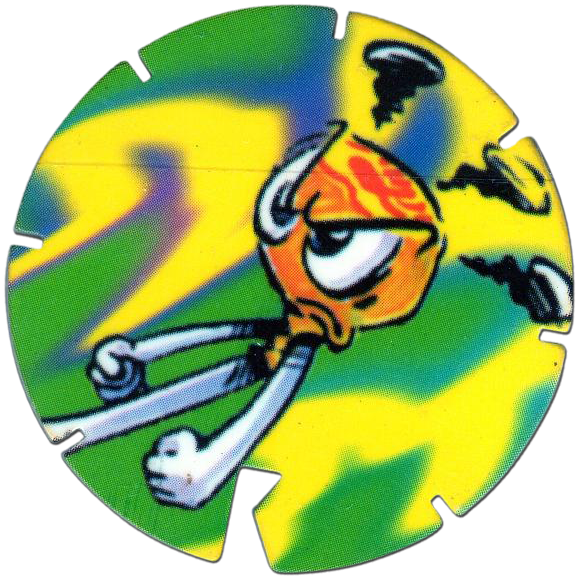 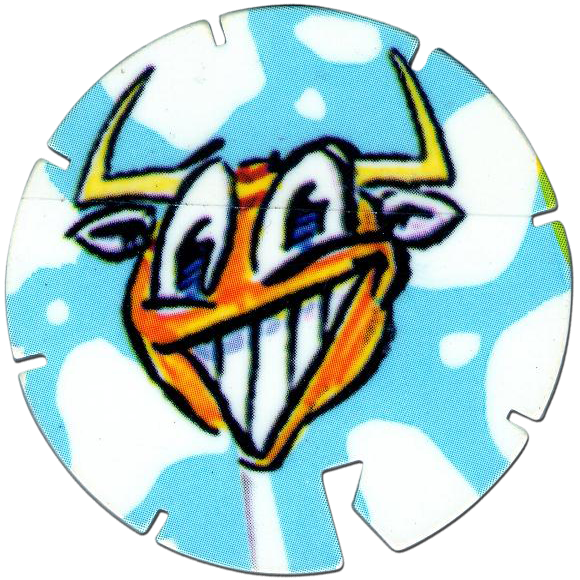 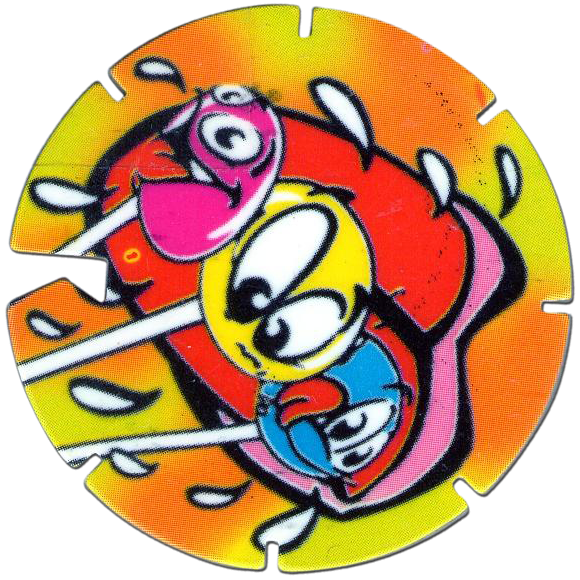 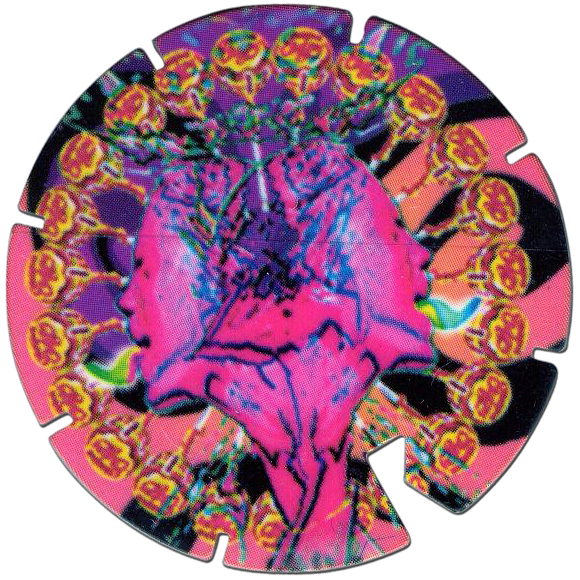 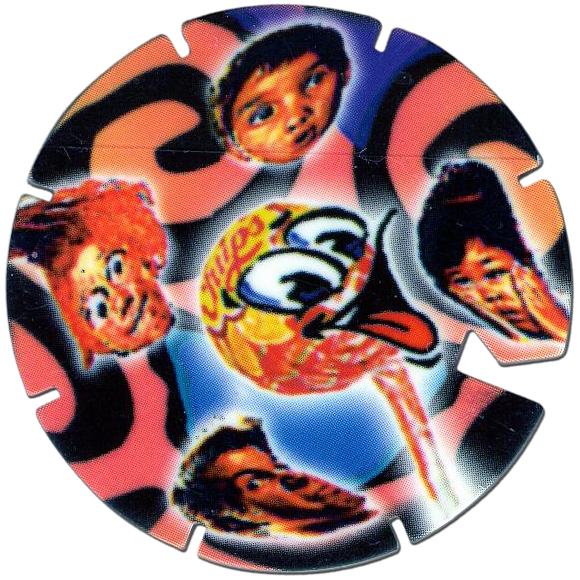 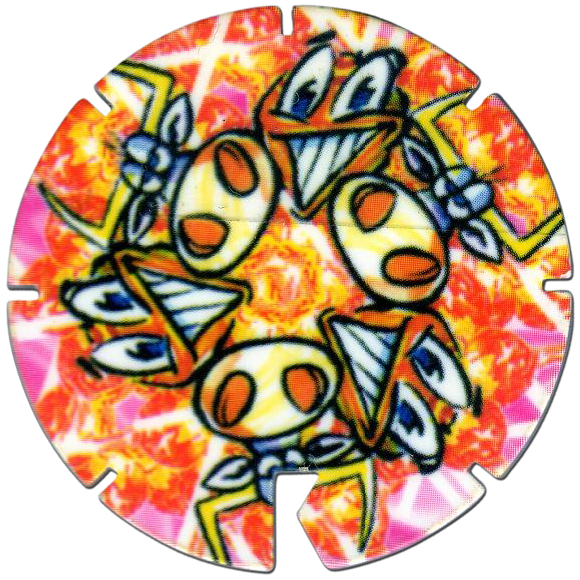 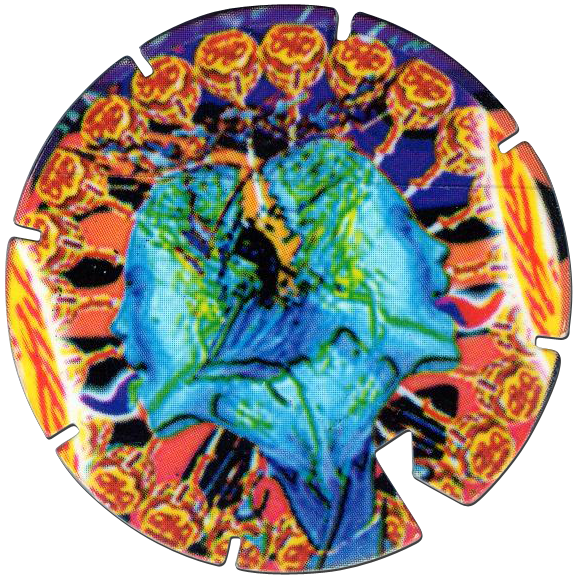 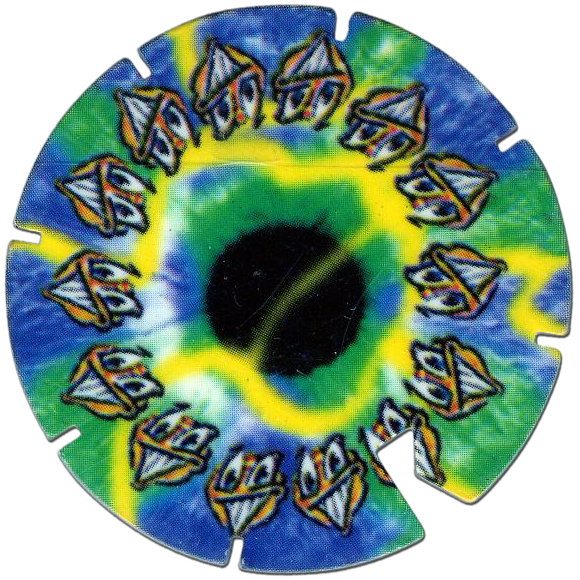 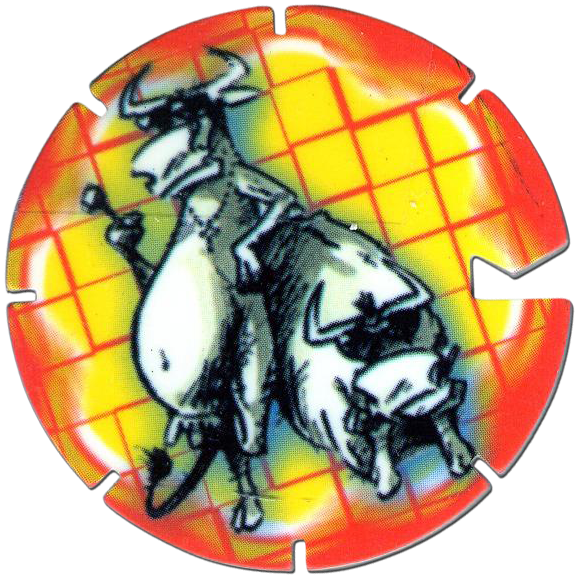 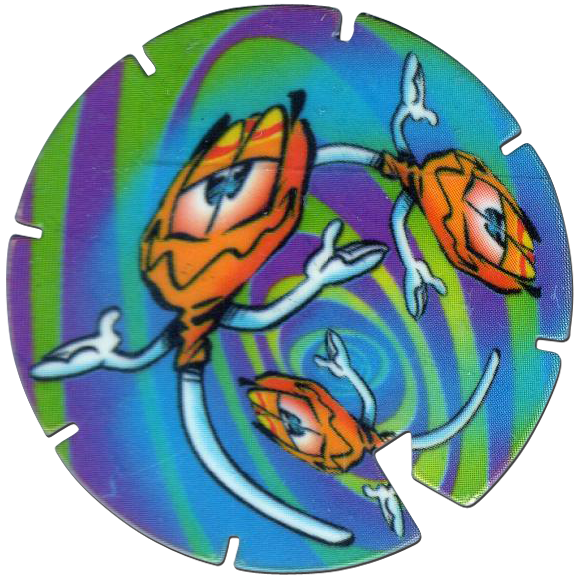 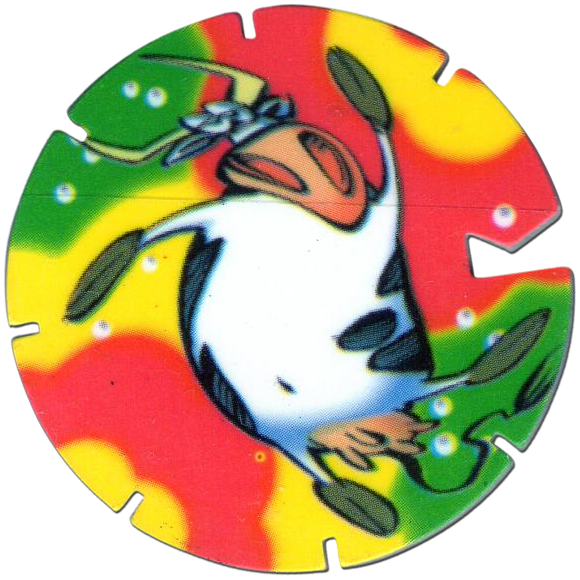 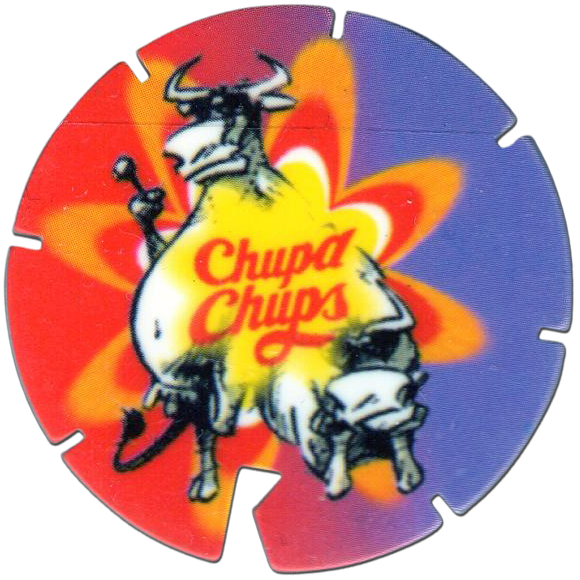 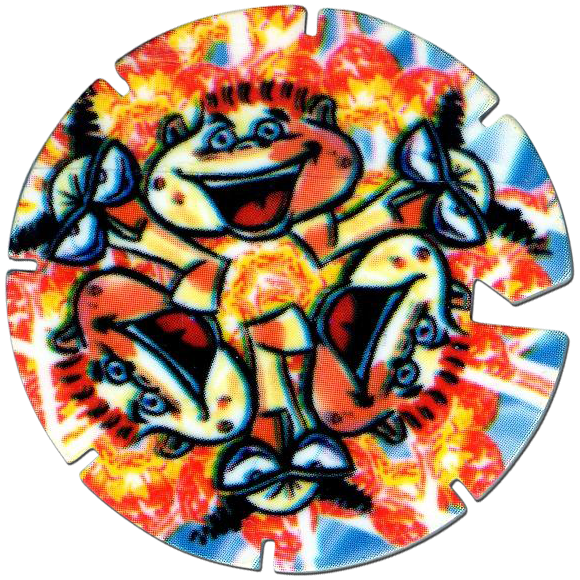 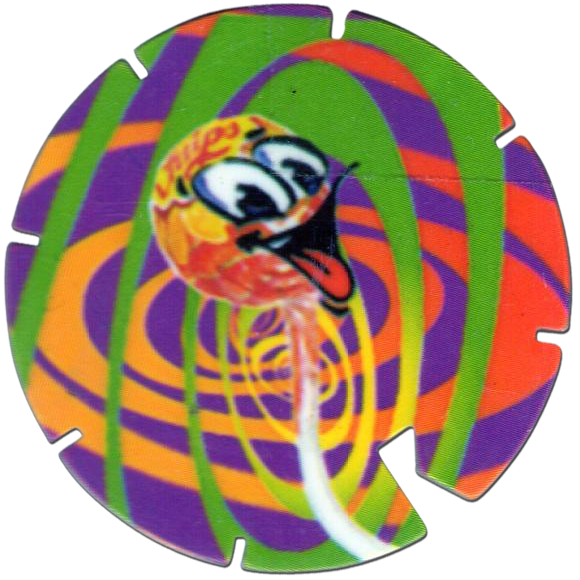 They are cut with small slots around the edge and one large slot, similar to certain series of tazos and other caps made from plastic, e.g Flying Flippos. 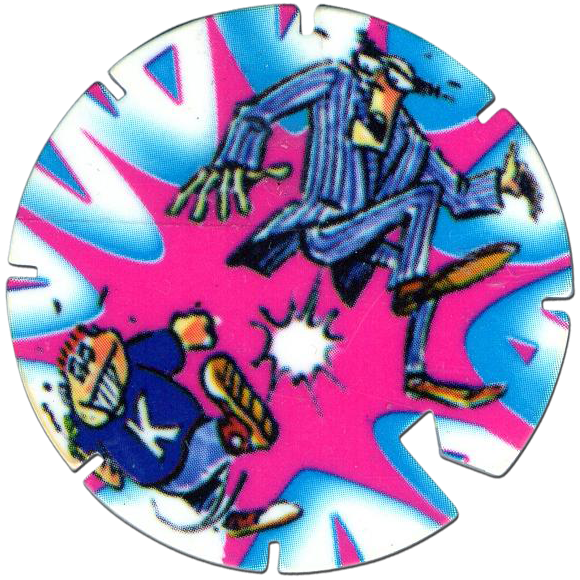 Thanks to Vincent for the images of the full set below.